A replacement hut for the Little Wanganui hut that was a little upstream on the other side of the river. 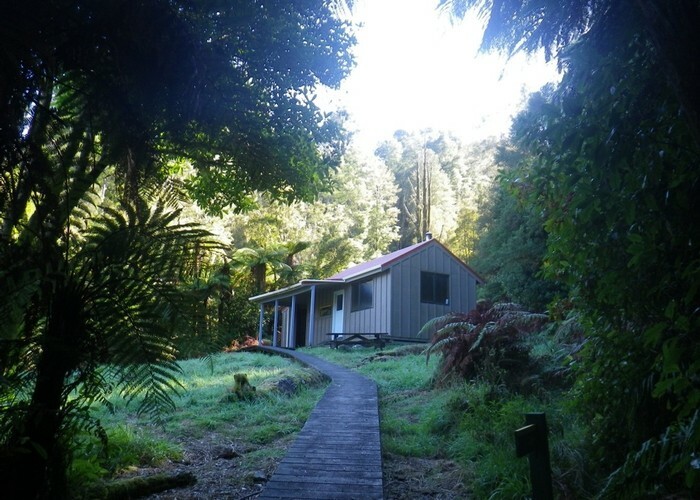 This hut is on the Wangapeka track & is the one closest to the West Coast road end. Belltown Hut • By madpom. Licence: cc by. Up the TR of the Little Wanganui Valley if visiting from the West Coast end. Added 23 August 2010 by glennjglennj. 3 revisions, most recently 27 January 2018 by glennjglennj. 83 views in the past year (7 per month).